It’s time to stop chasing the sun and start chasing scenery! With the changing of the seasons we’ve decided oceans are old news and it’s all about the lakes. From bodies of water surrounded by snow-capped mountains and lush pine-filled forests to those with white sand beaches and tropical shores, we’ve handpicked some of the greatest lakes mother nature has to offer! 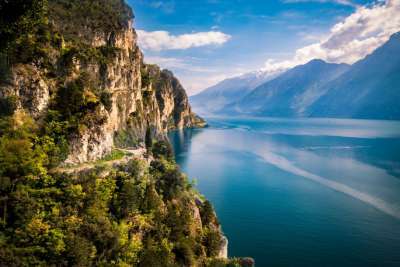 Italy's largest lake, this crystal-clear expanse of water sits in the north of the country. Its shores have been a popular holiday destination for decades due to its stunning location, surrounded by picturesque mountains. Head for the town of Sirmione, on the south side of the lake, to explore ancient Scaligero Castle and the chic bar, spa and restaurant scene. 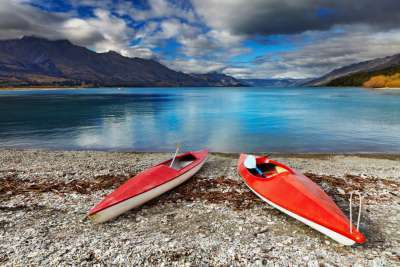 New Zealand's third largest lake sits on the country's South Island, with adrenaline fuelled Queenstown nestled on its shores. The Southern Alps creates a dramatic backdrop for the lake, especially in the winter when the mountains are frosted with snow. For those seeking a thrill head to the nearby Kawarau River for a bungee jump or book a skydive for the best views in the house! 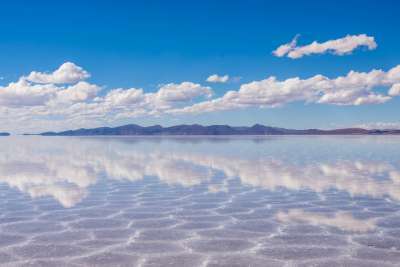 Known as the world's biggest mirror, Bolivia's salt flats were formed from ancient lakes. Though usually bone dry, during the rainy season they are covered in a thin layer of water. This, paired with their size and flatness, allow for absolutely stunning reflections from the sky onto the lake. Though remote, it's reachable by small plane or bus from the city of La Paz, and you'll be rewarded with breathtaking and totally unique views, unlike any other on earth. Whether you're after a sighting of the mythical monster or simply want to enjoy the views, Loch Ness makes for a stunning visit. The Loch sits only 40-minutes from Inverness and stretches for 22 miles into the Scottish Highlands. 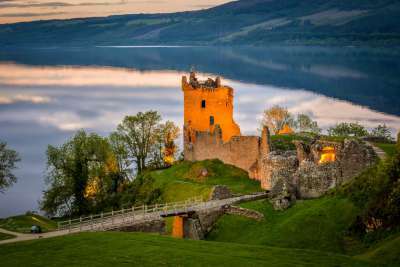 Explore the 16th-century ruins of Urquhart Castle or head to the Loch Ness Centre and Exhibition to learn all about the lake's history and it's legendary occupant. 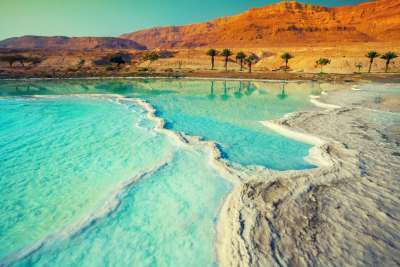 Only an hour's drive from Jerusalem, this ginormous salt lake is bordered by three countries and holds the title of the world's saltiest body of water! At a whopping 9.6 times saltier than the sea, the lake is barren of plant and sea life, hence it's rather morbid name. However its incredibly high salt content has led the lake to become famed for it's healing properties, with visitors flocking from all over the world to bob in its dense hyper-saline water. Located between Malawi, Mozambique and Tanzania, this African Great Lake is home to more species of fish than any other in the world. 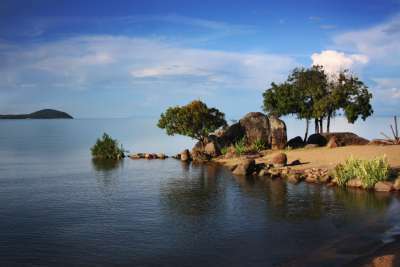 The lake can be reached in just under two hours from Malawi's capital, Lilongwe. Fringed with golden sand beaches and quaint fishing villages the lake is best seen by boat, with the option to stay at lodges dotted along the shoreline. Water sports are popular here with snorkelling, canoeing and water skiing all on offer. This half-moon-shaped beauty is one of the largest lakes in western Europe. 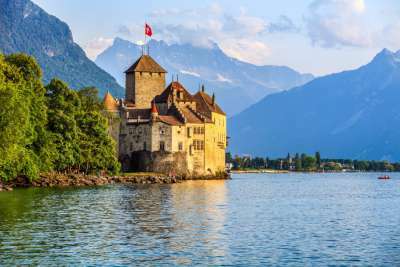 It's located on the northern side of the Alps, straddling the Swiss-French border. The city of Geneva can be found at its southern tip, boasting glorious views of both mountain and lake. Though the city is more known as a centre for banking and finance, its access to stunning scenery makes it a great base for exploring the surrounding countryside. Hiking and biking are two great ways to see the lake and ensure you get incredible views of the nearby Alps. Translating to 'lake of shining waters', Ontario is the smallest of North America's five Great Lakes, though it still comes in at a whopping 193 miles long! Sitting on its northwestern shore is the sprawling metropolis of Toronto. The city's skyscraper-filled skyline is best viewed from over the water and makes for stunning sunset pictures. Alternatively adventure out on foot, through the marshlands of Tommy Thompson Park that stretch out into the lake. 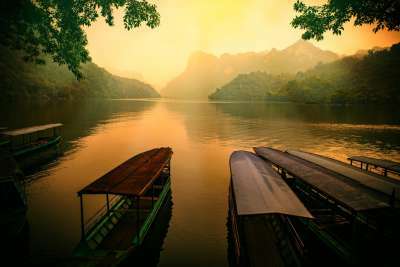 This beautiful turquoise lake can be found in Ba Be National Park, about a four and a half hour drive from Vietnam's capital, Hanoi. The best time to visit is during the winter and spring during dry season. Exploring the lake by boat gives you the best view of the surrounding jungle and ancient limestone mountains - that date back an incredible 450 million years! Picturesque small islands are dotted throughout and the water is flush with fish. 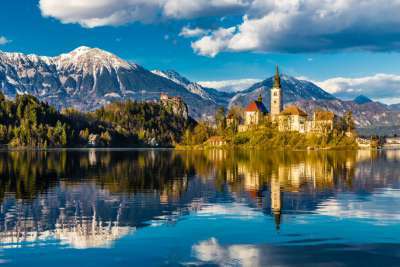 You'll find Lake Bled sitting snugly in the Julian Alps with a fairy tale-worthy church perched on an island at its centre. You can reach the picturesque spot via a short 45-minute drive from Slovenia's capital, Ljubljana. In the summer months tourists are encouraged to swim out to the small island and explore the church, alternatively in colder months you can reach it by a traditional wooden pletna boat. Along its shoreline, up on the cliffs, is the 12th-century Bled castle, home to a museum collection, printing works, and, most importantly, a well-stocked wine cellar!